The AMSEC WFS149 wall safe is designed to provide hidden protection for valuables. The unit itself is manufactured by American Security Products (AMSEC). AMSEC has been a security industry leader for over 60 years. They are the world’s best-known provider of security safes and security solutions. Known for providing a large amount of security safes and consulting services. All with the highest degree of quality, integrity and responsiveness. Being the largest and most respected safe manufacturer in the industry with a tradition of quality, their products are sure to deliver. This safe features a combination lock. With key operated, side locking bolt construction that incorporates a single half inch steel bolt. This prevents door removal in case of a forced entry. The unit features an impressive 1/2″ thick steel door. This sturdy, quality design will provide top of the line security for anything you place inside. The AMSEC WFS149 is easy to install. It comes with complete hardware which allows you to mount the safe easily and swiftly. Not only is it designed for easy installation between 16″ on center wall studs, but features pre-drilled anchor holes. As well a built-in flange that eliminates unnecessary repair of the dry wall. With interior measurements of 14.38″(H) by 8.75” (W) by 10″ (D) it is perfectly designed to cater to items such as jewelry, medication, hand guns and important documents. The deep interior and a convenient pull out shelf provide plenty of organizational space to suite your needs. The safe has an Underwriter’s Laboratory Class 350 1 hour fire rating. Ensuring the inside temperature does not exceeded 350 degrees Fahrenheit while the outside temperature is 1,700 degrees Fahrenheit. UL is the single most respected, independent, third party rating service in the country that rigorously tests products. Ensuring they conform to certain safety and security standards. So for those of you concerned about the safety of your important documents, needless to say, you have nothing to worry about. The WFS149 also boasts a UL Group II combination lock resistance to manipulation attacks on your safe. Group II locks are required to have an internal relocking system that fires when the lock is punched. This lock system will prevent any unauthorized force entry into your safe, providing peace of mind where your belongings are concerned. Weighing in at 106 lbs, some people may worry over the weight of the safe. Making it difficult for a single person installation; however, with help the installation process is simple and can be easily completed in a timely manner. 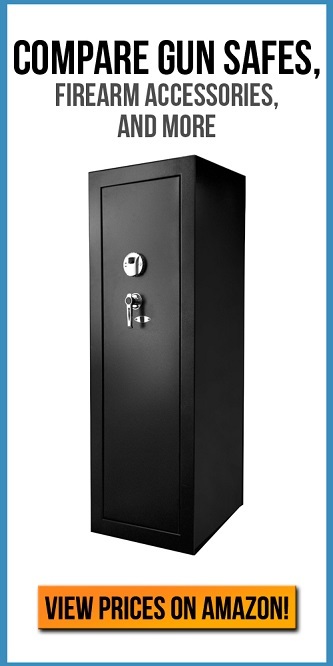 This strong, sturdy, heavy duty safe is a perfect security solution for any home. It provides plenty of storage room and high safety ratings. You will be able to rest easy knowing that no matter what, your most valuable possessions will remain safe and secure. This is the ideal security solution for any home.